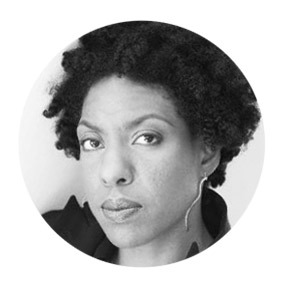 In Ayana Mathis‘s first novel, The Twelve Tribes of Hattie (Knopf Doubleday, 2012), a young woman moves to Philadelphia after her father is murdered in Jim Crow-era Georgia. There, she has twins, but they succumb to pneumonia in infancy. The twelve tribes of the title are her dead twins, her nine other children, and one grandchild; the novel itself is a biblically inflected family saga and a powerfully moving re-creation of a dark time in American history. A masterful debut, it was a New York Times Notable Book and an Oprah selection. It’s also an excellent introduction to a major new voice in American fiction. What are you working on now? Err… secret? What’s your earliest memory of literature? Watching Pride and Prejudice on Masterpiece Theatre and pretending to invite Mr. Darcy to tea (wearing one of my mother’s dresses with my dog Shane cast in the role of Mr. Darcy). What is your petite madeleine? Funnel cake from the 4H fair that happened every August, usually on my birthday, just across the road from my grandparents’ house in New Jersey. What do you most look forward to? Dinner! I know that’s pretty simple — but I love cooking and sitting down to dinner with the people I love. It makes even the worst day better. What are you reading right now? How to Be Both by Ali Smith. Also Anne Carson’s Decreation. Given sufficient budget, what would you put on your wall? One of Lynette Yiadom-Boakye’s portraits. Who, in music, strikes deepest in the soul? That’s an impossible question to answer! It changes weekly, daily even. I listen to a lot of hip-hop, which strikes me very deeply in the soul: Chance the Rapper‘s Coloring Book is incredible, and Kendrick Lamar‘s good kid, m.A.A.d city, songs like Ka’s “30 Keys“. I could go into other genres — blues, old R&B, indie stuff. But I will narrow it down to two songs that reach into my chest and squeeze every time I hear them: Ledisi’s version of “Take My Hand, Precious Lord” and Bon Iver’s “The Wolves (Act I & II)“. What are your preferred writing materials? Moleskine (I switch between ruled and unruled) and a smooth-writing gel-ink pen. Who would you choose to read the audiobook of your collected works? Natasha Tretheway. She’s got her own collected works to read, I realize, but she has such a beautiful voice. Also, Viola Davis. You can see Ayana at the Seriously Entertaining show When Strangers Meet on June 13, 2016, at Joe’s Pub at The Public Theater. Buy tickets here.